Bill lived a life devoted to loving and supporting generations of Principia students. I am grateful to have been coached, mentored, and befriended by such a selfless, compassionate, and humble educator. A few years after attending Upper School on the Page and Belt campus, Bill returned to Principia as a houseparent and coach in 1961. After serving as a houseparent in the Boys’ Dorm, he became dean of boys and even served as dean of girls for one year during a time of transition for the Girls’ Dorm. He was dean of students from 1976 until his “retirement” in 2003. He and his wife, Liz, continued to live on the School campus, and Bill was a constant presence around campus. Bill never stopped giving to Principia and Principians of all generations—coaching and visiting with students in the Upper School lobby up until just a few weeks ago. He provided unconditional love to everyone he encountered—consistently recalling names and details of his past interactions with Principia alumni from every era. Bill coached male and female athletes in soccer, football, track and field, and cross country. He received a dozen or more awards as Coach of the Year. In 2009, he was inducted into the Missouri Track & Cross Country Coaches Association (MTCCCA) Hall of Fame. He took multiple teams and individuals to state-level competition and championships. In district competition, Bill coached at least 12 first-place track and field teams and seven first-place cross-country teams. 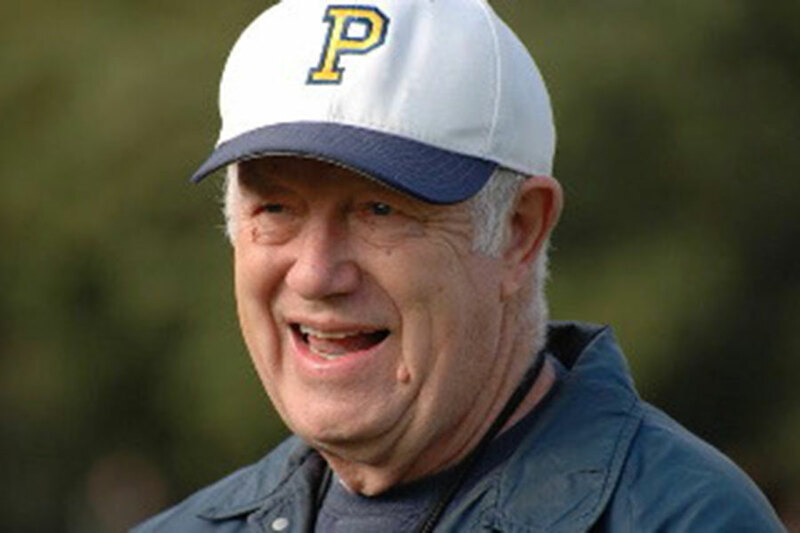 From 1970–2007, he coached a dozen teams that won ABC League championships. No matter where a student’s thought was when coming into contact with Coach Simon, he unfailingly poured in love and support, embodying the concept of Principia’s Policy 3 to “recognize that man as the child of God reflects the intelligence and strength of his Maker, and that all men have equal opportunity and equal ability in the sight of God.” His unflagging support of and appreciation for students’ progress was felt and appreciated by generations of Principians. In recognition of his lifelong service to Principia as an educator and a landmark figure in the lives of countless Principia students across generations, the Principia Board of Trustees recently approved conferring an honorary degree from Principia College on Bill Simon. This degree will be officially conferred at the May 2019 College commencement ceremony. I am grateful that we were able to share this information with him before his passing. Whether you knew him as Willy K., Mr. Simon, Coach Simon, or just plain Bill, there’s no question that this man was fed by Love and in return fed us all from that same eternal source. Principia is planning a celebration of the life of Willy Kurt (Bill) Simon Jr. on the School campus in Ridgway Auditorium on Sunday, February 24, from 3:30–5 p.m. All who have known him and who wish to celebrate his contributions are invited and encouraged to attend.